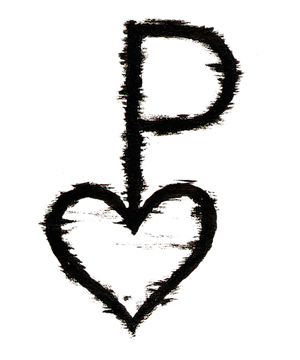 Our P hanging Heart brand is an old registered Montana brand, Carmen’s Great Uncle first used this brand in the late 1800’s. Her Grandmother gave us the brand as a wedding present over 40 years ago. We have the old original handmade iron with a long handle used in wood fires. Although we don’t use the antique iron, it does hang in the art studio as a memento. Our locations registered with the Montana Department of Livestock are left rib and right hip on cattle, right thigh on horses. When you see this brand on longhorn cattle, you can be assured it will be “your brand of excellence”! We began using Texas Longhorn bulls in 1976 to breed to our first calf beef heifers. We also purchased a couple of longhorn cows at that time. 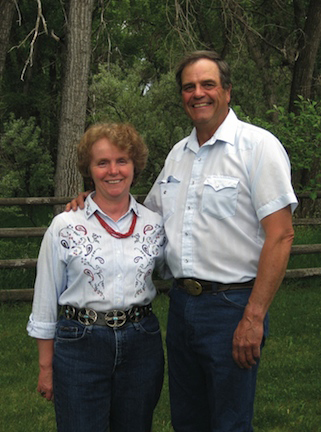 They worked so well, we started rethinking the way we managed our beef cattle. We appreciated the Longhorn’s tough and smart traits, developed by nature through the centuries, and we also enjoyed the entertainment of roping, along with the visual beauty of the animals. We have worked hard for many years to produce national contenders. We feel that our early experience in raising beef cattle helped teach us how to breed for the traits we desire, how to cull hard and how to build a more uniform herd in all ways. We are pleased to share these animals with you. This is a hardy herd, gentle, and well mannered. They are not pets, however. We have a zero tolerance policy for fence crawlers, mean cows, or non-breeders. They are a healthy herd, without a lot of unnecessary medications and vaccinations. The heifer calves are all Bangs vaccinated. Our first priority is a maintenance free cow that raises a good calf every year. Why use Hodges Longhorn genetics? Our herd has been developed and refined through the years. Our cows are full of generations of solid background cattle. That is the reason why, when you purchase a bull from us, he will usually outcross to herds of mixed bloodlines with more predictable results.